If you are unhappy with your skin because it looks prematurely aged, and would like to gain a more youthful complexion, there is actually a lot you can do to help fight those wrinkles and look younger. Various anti-aging skin care products are designed to slow the aging process. Today everyone wants to hide their age using these up-to-the-minute-procedures. It may be hard to believe, but practically every anti-aging skin care system on the market contains compounds such as Petrolatum, mineral oils, paraffin (in wax or liquid form) or petroleum jelly that will actually damage your skin’s health over time. They are particularly detrimental when it comes to anti-aging skin care, because they inhibit the body’s natural ability to rejuvenate, produce new skin cells and dispose of toxins. They clog the pores and strip sebum (the natural oils that the body produces). This leads to pimples, blackheads, white heads, sagging wrinkling, etc. Over all, it actually does more harm than good. It blows my mind that companies continue to use these ingredients, but they do. Luckily for us, Sea Buckthorn is the perfect natural cocktail to treat all signs of aging, not just the physical. Even Dr. Oz recommended sea buckthorn as a miracle acne remedy back in 2010. Smoking, drinking alcohol, exposure to environmental pollutants, and also exposure to ultraviolet light or nuclear radiation can all trigger the production of “free radicals” on the skin’s surface, or inside the body. Free radicals are very simple compounds of oxygen, in which the innocent molecule has acquired an extra electron. 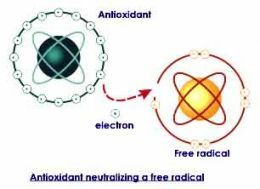 Free radicals are very reactive particles and they aggressively attack all the surrounding molecules within the cell. The attacked molecules are oxidized, becoming structurally damaged and even making them toxic for the body. Vitamins with antioxidant properties form a natural line of defense against free radicals; they “catch” free radicals and neutralize them. These anti-oxidant vitamins, all present in Sea-Buckthorn oil, are vitamin A (derived from -carotene), vitamin C (ascorbic acid) and vitamin E (-tocopherol). Clinical experiments in Shantow Tropical Disease Hospital and the Shanxi Pharmaceutical Research Institute indicate cosmetics containing Sea Buckthorn extracts can actually improve metabolism and retard skin maturation, thus slowing the aging process, possibly because of the effects of its high levels of Vitamins A and E. Learn more about sea buckthorn’s incredible array of antioxidants here. Sea Buckthorn Berry has been used by herbalists for at least a millennium. This extraction has only recently become available and seems to be taking the natural skincare industry by storm. Many of the well-known “Natural Cosmetics” companies are beginning to include Sea Buckthorn oil in their skincare products, as a search of the web will quickly show you. And it’s a rich source of the elusive essential fatty acid, Omega-7, a rare EFA vital to collagen production and healthy skin, hair and nails. The View recommended sea buckthorn for healthy hair, skin, and nails. Click here for more information on the segment. Bio-active substances in the oil from the seed and pulp are used in a variety of dermatological applications, among them anti-aging face creams and lotions and (since the extract seems to absorb UV rays) in sun care products. Add the plant’s oil to sunscreen products as both a sun-block and tan-enhancer. European cosmeticians sell anti-wrinkle creams made from Sea Buckthorn. (Please note, because of Sea Buckthorn’s high level of beta-carotene, the oil is deep reddish orange and unless used in extremely weak dilutions can color your skin. If you want “bronzing oil” this is your choice!) The stain does, however, go away in a short time depending on how much is put on. As mentioned before, Sea Buckthorn contains anti-oxidants like vitamin E and beta-carotene which effectively combats wrinkles, dryness, and other symptoms of aging or of a neglected skin. Research indicates that products containing Sea Buckthorn Berry appear to promote cell tissue regeneration, thus aiding in the healing of wounds, and restoring skin tissue. 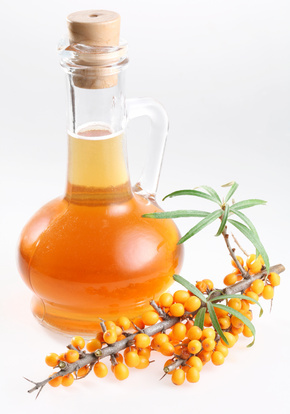 That is why Sea-Buckthorn oil delays the aging process internally and externally. Sea Buckthorn oil is said to have proven effective in the treatment of skin conditions including burns, skin ulcers, cancer, acne and dermatitis of various forms. Sea Buckthorn is a plant that gives adequate results in a very short time. Learn more about the various skin ailments sea buckthorn is effective for. Antioxidant activities of sea Buckthorn (Hippophae rhamnoides) during hypoxia induced oxidative stress in glial cells. Narayanan S, Ruma D, Gitika B, Sharma SK, Pauline T, Ram MS, Ilavazhagan G, Sawhney RC, Kumar D, Banerjee PK. Source: Defence Institute of Physiology and Allied Sciences, Timarpur, Delhi, India. Li TSC (2002). “Product development of sea buckthorn”, Janick J, Whipkey A. Trends in new crops and new uses. Alexandria, VA: ASHS Press. ← Dr. Oz Claims Sea Buckthorn Is A Miracle For Clearing Up Acne Prone Skin! I am wondering if Sea Buckthorn can be taken orally. I have 100 mg.
Sea buckthorn oils can be taken orally. can the oil be used directly on skin and what what under eye skin? does it helps under eye puffiness too? Yes sea buckthorn oil is safe to use directly on the skin because it’s very gentle. You can use it as an under eye treatment safely as well. For the puffiness you should also take it internally and try drinking more water; both will help reduce the appearance of puffiness or bags under the eye.